Positive Psychology Coaching in Practice provides a comprehensive overview of positive psychology coaching, bringing together the best of science and practice, highlighting current research, and emphasising the applicability of each element to coaching. 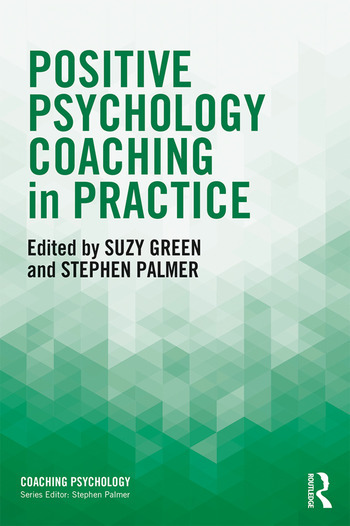 With an international range of contributors, this book is a unique resource for those seeking to integrate positive psychology into their evidence-based coaching practice. Beginning with an overview of positive psychology coaching, the book includes an assessment of theories of wellbeing, an examination of mindfulness research, a guide to relevant neuroscience, and a review of a strengths-based approach. It also contains chapters which explore the application of ACT, the role of positive psychology in wellness and resilience coaching, positive leadership theory, and developmental psychological theories as they relate to coaching through significant life transitions. In each chapter, theory and research is thoroughly explored and applied directly to coaching practice, and supported with a list of relevant resources and a case study. The book concludes with the editors’ views on the future directions of positive psychology coaching. Positive Psychology Coaching in Practice will be essential reading for professional coaches in practice and in training seeking to enhance their evidence-based practice, coaching psychologists, practitioners of positive psychology, and academics and students of coaching, coaching psychology and positive psychology. Editors and Contributors. Foreword by Professor Sir Cary Cooper. Preface. Acknowledgements. Green & Palmer, Positive Psychology Coaching: Science into Practice. Franklin, Achieving Success and Happiness: The relevance of theories of well-being and flourishing in positive psychology coaching practice. Spence, The Stillness of Growth: Mindfulness and its role in the coaching process. McKay & Kemp, Neuroscience and Coaching: A Practical Application. McQuaid, Niemiec & Doman, A Character Strengths-Based Approach to Positive Psychology Coaching. Collis & Winters, Applications of Acceptance and Commitment Training in Positive Psychology. Falecki, Leach & Green, PERMA-Powered Coaching: Building Foundations for a Flourishing Life. Reynolds, Palmer & Green, Positive Psychology Coaching for Health and Wellbeing. Palmer, Skews & Green, Coaching to Enhance Resilience and Wellbeing. Boniwell & Smith, Positive Psychology Coaching for Positive Leadership. Panchal, Palmer & O’Riordan, Coaching Through Developmental Transitions. Green & Palmer, The Future of Positive Psychology Coaching. Appendix 1: Relevant organisations. Appendix 2: Questionnaires and inventories. Index. Suzy Green is a clinical and coaching psychologist based in Australia. She is a leader in the fields of coaching psychology and positive psychology, and is the founder of Sydney-based The Positivity Institute, dedicated to the research and application of positive psychology. Stephen Palmer is a positive and coaching psychologist. He is Founder Director of the Centre for Coaching, London, UK and Adjunct Professor of Coaching Psychology at Aalborg University, Denmark. His professional roles include being Honorary President of the International Society for Coaching Psychology.